On Monday, August 20, 2012, the Maestro Cares Foundation, in partnership with Blackberry, Goya, and the Dominican Republic Department of Tourism, hosted 200 guests for the organization’s first ever Chicago fundraiser. Held at the Sofitel Water Tower, in the heart of the city’s Gold Coast, the red-carpet event raised over $100,000 for the development of a new residence hall for orphaned children in the Dominican Republic. The evening included special appearances by global pop icon and Maestro Cares co-founder Marc Anthony, entrepreneur and co-founder Henry Cardenas, Formula One driver Esteban Gutierrez, and actor Luis Guzman. Live music was provided by a jazz quartet followed by a DJ. Gourmet hors d’oeuvres and catering were sponsored by the Sofitel Water Tower. Guests and supporters of the event bid on a number of unique auction items and experiences including a signed soccer jersey by Lionel Messi and the Argentinean National Team, a necklace by world renowned designer Oscar de la Renta, a helmet signed by Formula One driver Esteban Gutierrez, a signed guitar by rock band Mana and front-row tickets to Anthony’s current international tour, GIGANT3S, with a Meet-and-Greet opportunity following the show, among other items. All proceeds from the event will benefit the completion of a new residence hall and learning facility for over 200 children living at Orfanato Niños de Cristo, an orphanage in La Romana, Dominican Republic. The Dominican orphanage will be the first territory to directly benefit from the Maestro Cares Foundation, a non-profit organization established to benefit charitable organizations in developing Latin American countries. Maestro Cares seeks to offer assistance to orphaned and disadvantaged children while supporting social services and other development programs. Maestro Cares (MC) is a non-for-profit corporation established in November 2011 to support the housing and educational needs of orphaned and underprivileged children in developing Latin American countries. Through contributions of its founders, Henry Cardenas and global artist Marc Anthony, as well as donations from individuals, Maestro Cares provides housing, food, toys, clothing and assists in the academic and recreational development of children through various programs. A special account in the name of the Maestro Cares Foundation has been set up to receive donations and individuals will also be able to contribute to Maestro Cares through a series of concerts in 2012 to support the work of the Foundation. 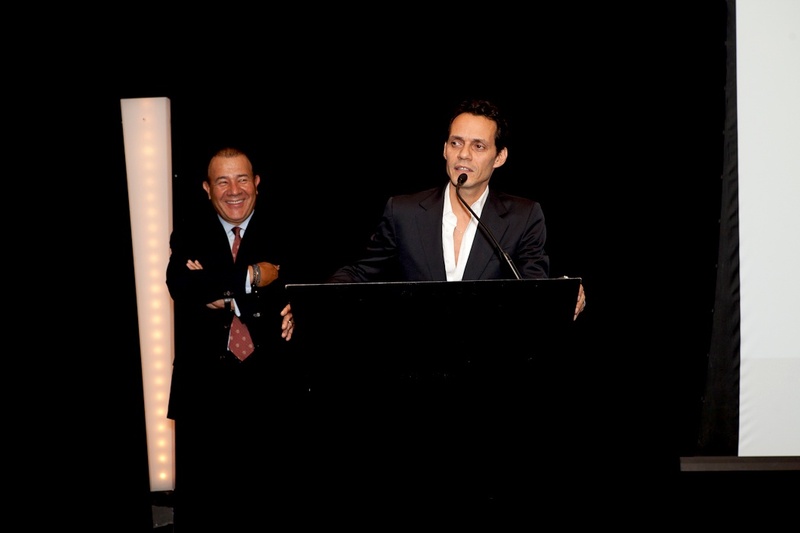 Marc Anthony addresses supporters of the Maestro Cares Foundation Aug. 20 at Chicago's Sofitel Water Tower. The event raised over $100,000, which will benefit orphaned children in Latin America. Marc Anthony addresses supporters of the Maestro Cares Foundation Aug. 20 at Chicago's Sofitel Water Tower. The event raised over $100,000, which will benefit orphaned children in Latin America.